Habbakuk envisions the day that the knowledge of the glory of God will cover the sea. It was spoken of in prophecy. How He will complete that is through the message of the Gospel. It is impossible to think about the sea without visualizing incomprehensible amounts of water. The aquatic life that never breaches the surface of the oceans is unaware that water is the essential and omnipresent reality of its world. 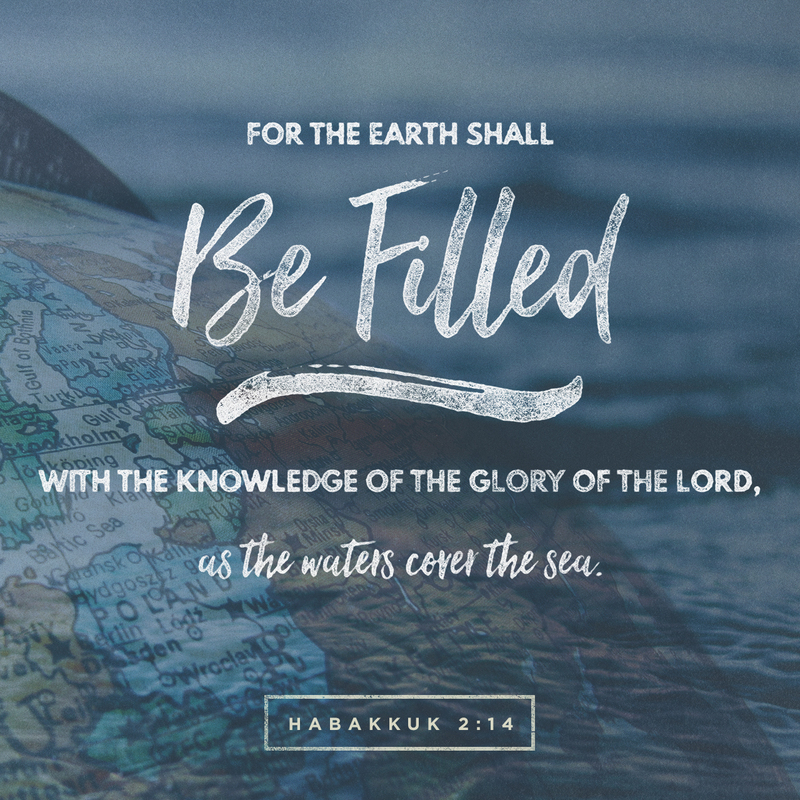 Yet Habakkuk envisions a day when the knowledge of God’s glory will fill the world above the surface of the waters such that all of humanity will be consciously in awe of the one whose glory surpasses our comprehension.